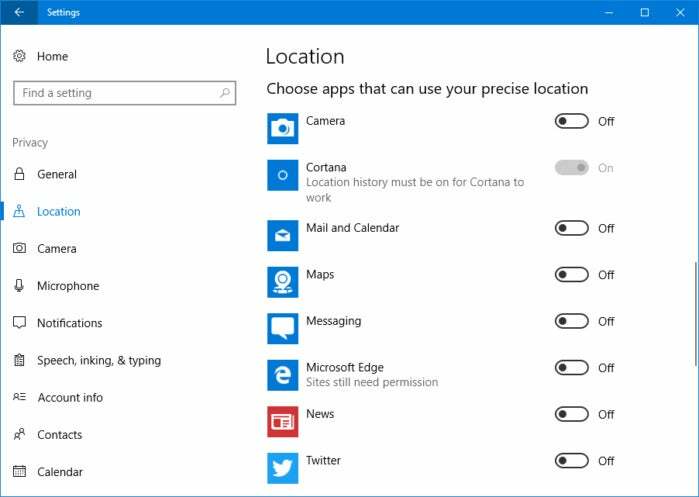 Control Windows 10's built-in location services with a few clicks. Your devices scoop up all kinds of information about you to provide helpful services and deliver supposedly targeted advertising. 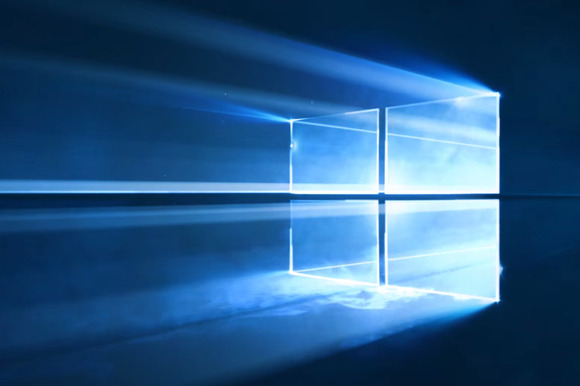 Since the debut of Windows 10 this trend has also landed in full force on the PC. But what if you don't want to participate in this cloud-based madness? 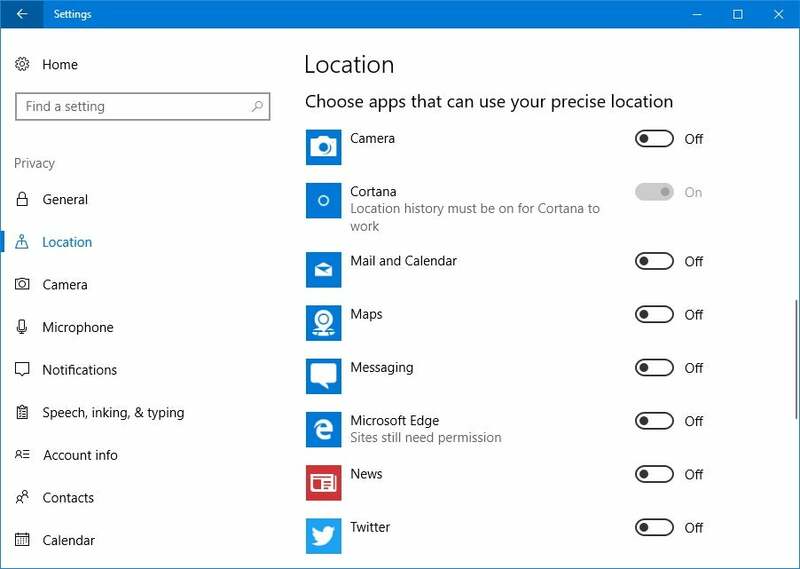 A good start is to restrict your location information in Windows 10. 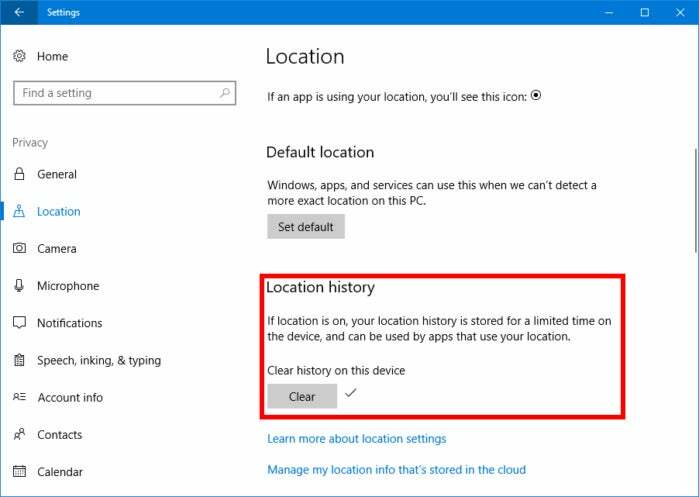 Here's how to turn off location services in Windows 10 and delete your location history. 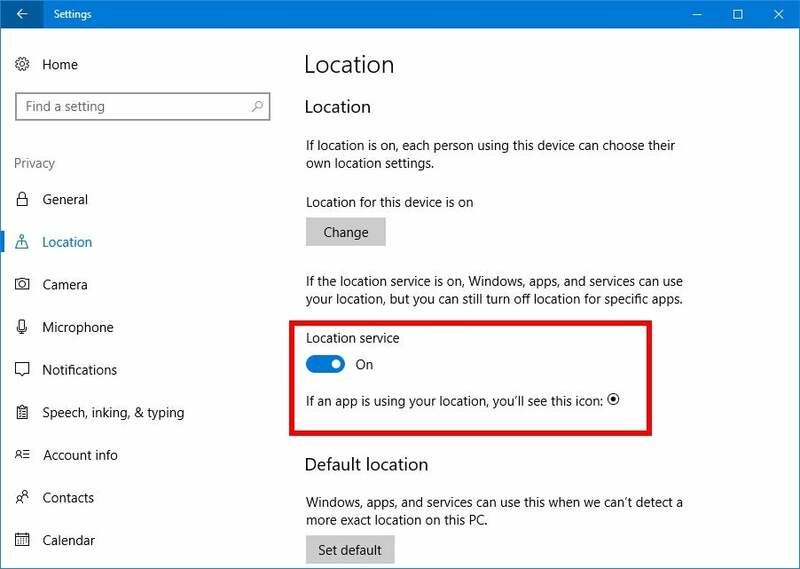 Some Windows Store apps in Windows 10 require your location to work correctly, while others would like it in order to tailor your experience. Before you turn off location services keep in mind that any location-specific services or apps will no longer be available to you. If that's okay with you, open the Settings app by clicking the Windows Start button and then selecting the cog icon in the lower left corner. In the Settings app go to Privacy > Location and turn off the slider labeled Location service. 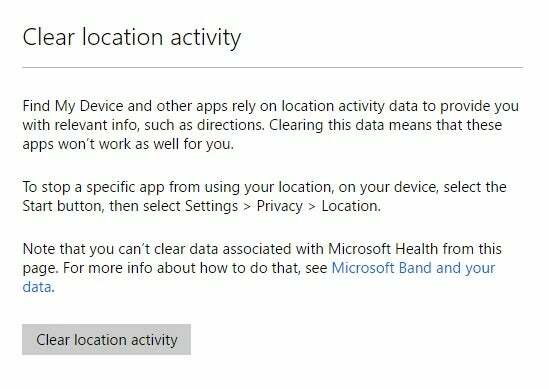 If restricting your location data systemwide is too extreme, Windows 10 lets you do it on a per-app basis. The feature only works for apps built with the Windows Store platform. Scroll down in Settings > Privacy > Location, and toward the bottom of the screen is the heading Choose apps that can use your precise location. This is followed by a list of apps that want to use your location, each with a corresponding on/off slider. The only one you can't change is Cortana, because the personal digital assistant requires your location to work. Other than that, you can restrict access to your location on a per-app basis. Next, it's time to delete location history. You can do this regardless of whether you've turned off location services for your device. In Settings > Privacy > Location, scroll down to the sub-heading Location history. Click the Clear button in that section to erase your location history on your PC or tablet. Once the history has been cleared, a checkmark appears next to the Clear button. Click this button to clear you Microsoft Account loation historystored online. That was easy enough, but we're not done yet. Your location history is also stored on Microsoft's servers. Below the Clear button, click the link labeled Manage my location info that's stored in the cloud. 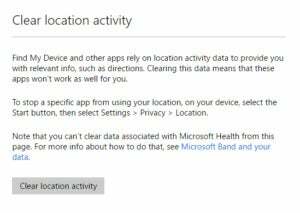 That will take you to the location section of your Microsoft Account's privacy settings. On the right-hand side of this page look for the section called Clear location activity. Under that heading is a button with the same title. Click Clear location activity and a pop-up appears asking you to confirm you choice, because you cannot undo this action. Click Clear and you're done. If you want to be extra-sure, refresh the web page and you'll see that the map it displays no longer shows any location data. That's all there is to clearing your location activity in the Creators Update. If you don't want your location used at all, you should restrict your browser from asking for your location as well.